We collaborated with the Khemia Ensemble from Ann Arbor, MI to design and fabricate an interactive light installation to accompany their tour showcasing the recently released record, Voyages. 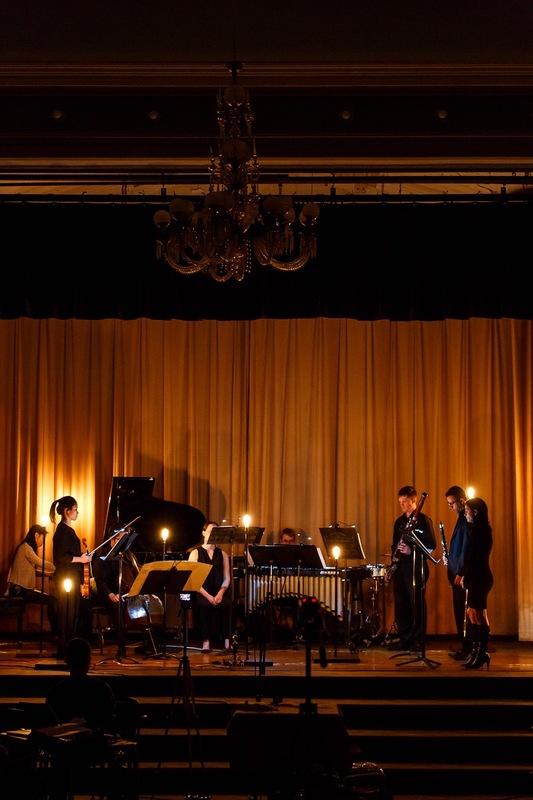 Working closely with the composers, our team developed code to control a series of custom light fixtures dispersed amongst the musicians on stage. The fixtures varied in height and disappeared on the stage, showcasing the synchronized lights as they flashed and swelled to the compositions. The fixtures were designed specifically for the ensemble and their touring - able to breakdown into a self-contained module and packed away for easy transportation.